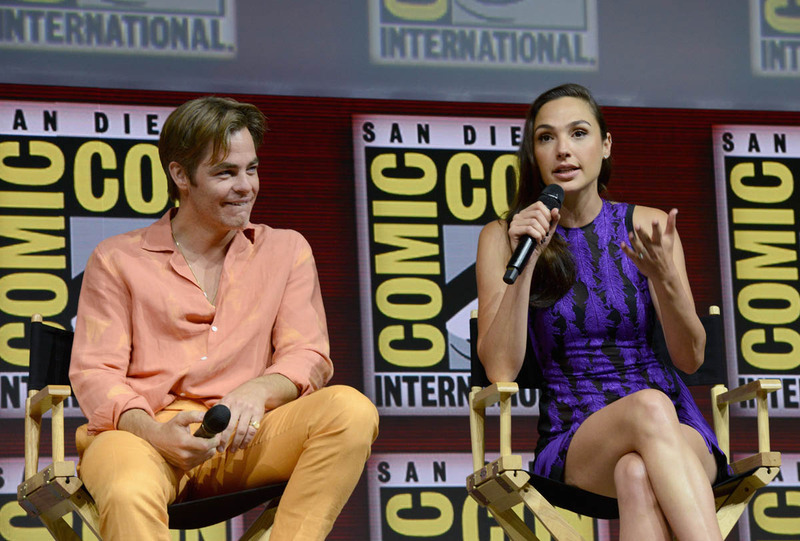 The last time my attraction to Chris Pine was tested, it didn't go so well. He was driving a glorified station wagon I hated and so many of you strongly defended (yeah yeah vintage Grand Wagoners are cool, stop @ing me). Now, it's time to get back to my job as a professional defender of The Best Chris. 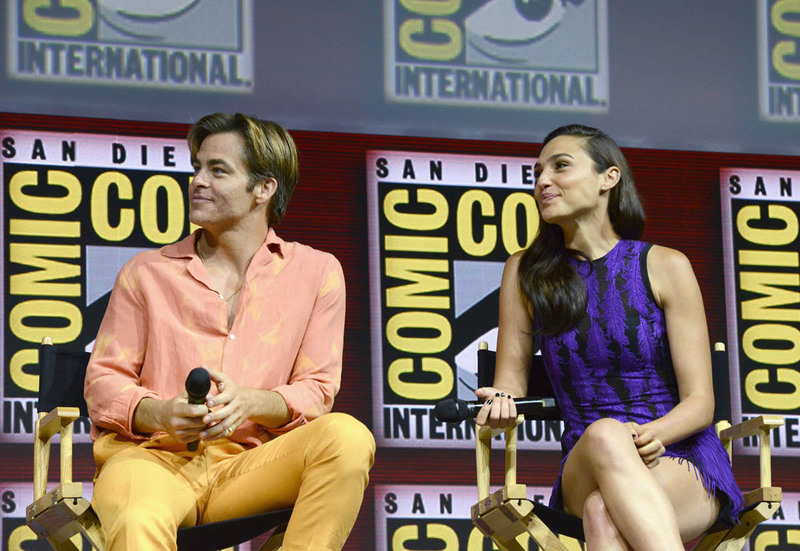 He wore this wonderfully wacky outfit to Comic-Con and I don't care what anyone says I love it. He looks like a Floridian retiree heading out for a night of Bingo and I am HERE FOR IT. 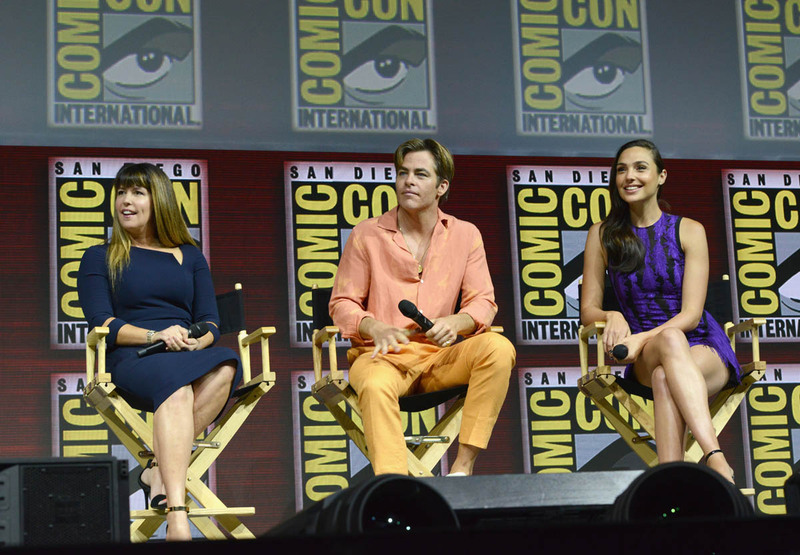 Sure, the colours are bright but they are very well coordinated. The mustard (is this mustard? Canary? Butterscotch? So many delicious choices!) 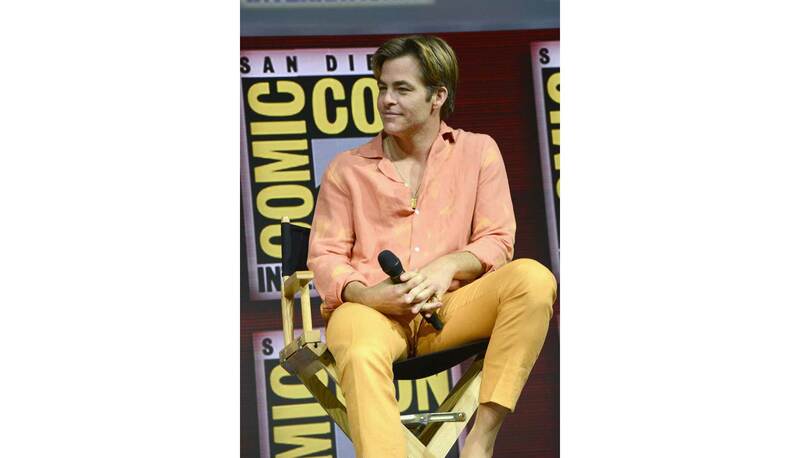 of his pants match well with the same hue in his peach shirt. The fit of both are immaculate. Yep, this absolutely still does it for me. 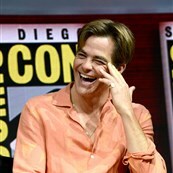 My Chris Pine crush is intact. Phew. 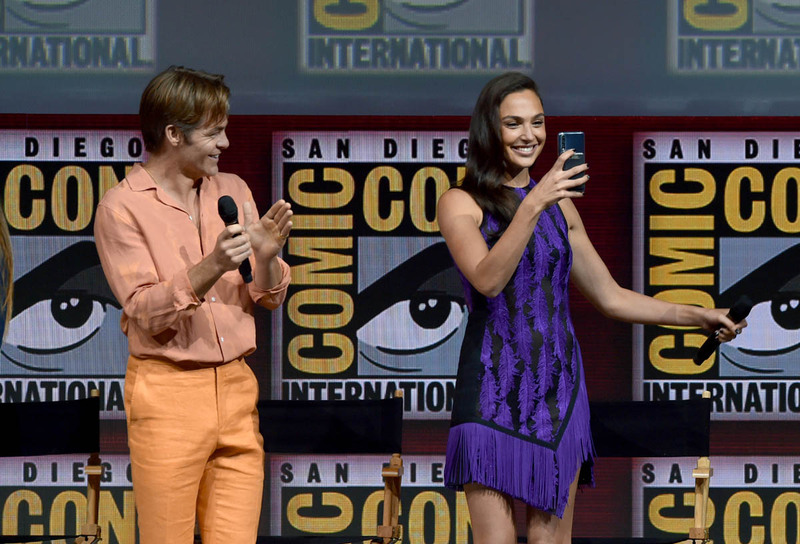 Chris joined Gal Gadot and Patty Jenkins for the Wonder Woman 1984 presentation in Hall H and Patty teased that the movie will explain Steve Trevor's presence and that he is "a very important part of our movie." 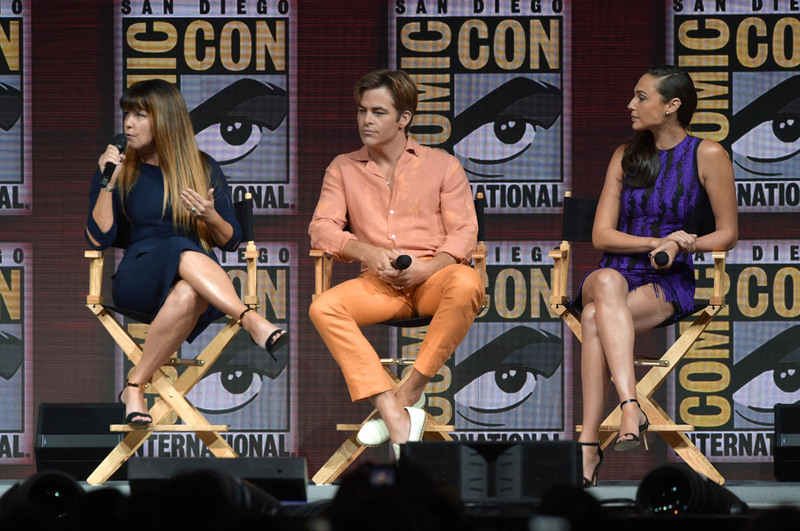 So, they're going to keep Sarah's 'Steve Trevor Principle' alive and give Chris Pine way more to do than most female superhero love interests. 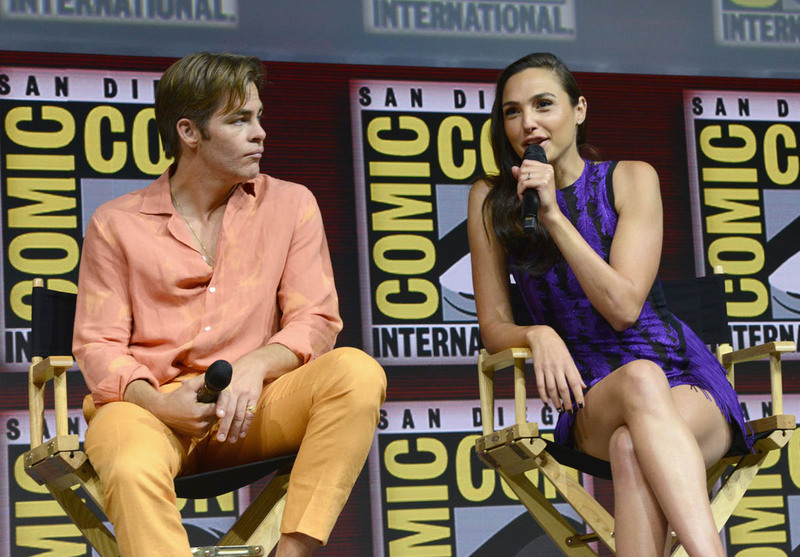 As much as I love Chris Pine, there were so many things I cared more about in Wonder Woman than Steve Trevor. I could take or leave him in the sequel. Sounds like we're going to get a lot of him. 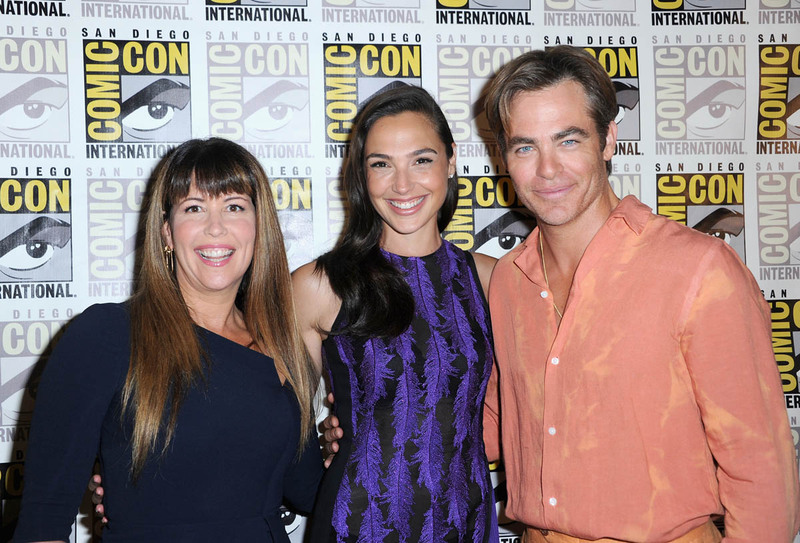 Patty Jenkins also talked about why the film will be set in the '80s. "It was mankind at its best and worst... It was grand and wonderful... [It was] us at our most extreme." Funny, this is how I feel about Chris's outfit. It is extreme. It is so bad it's good. 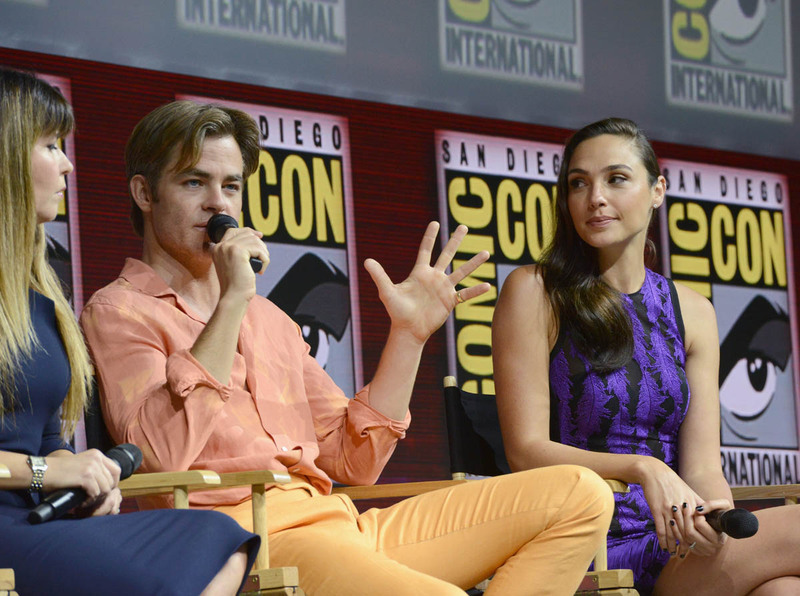 It's Chris at Peak Quirky Chris Pine. 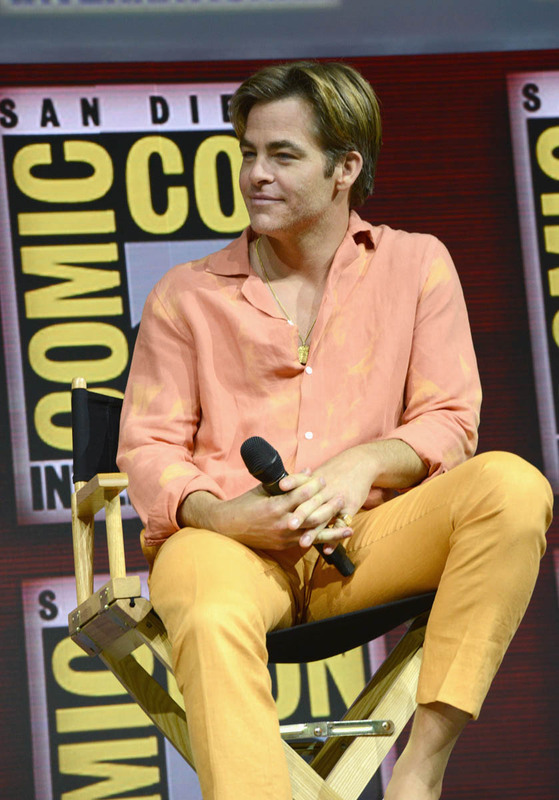 I love a man who isn't afraid to boldly rock apricot (grapefruit? Lemon? Mandarin orange?) from head to toe. 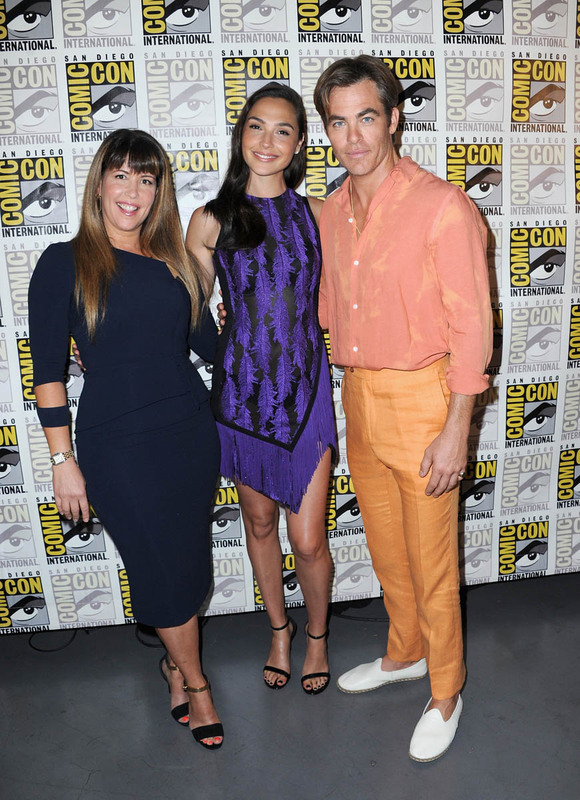 When Lainey emailed me about Chris's outfit she wrote, "I don’t even think Cate Blanchett could pull off these colours." I disagree. Cate would and could. The other Chrises could never. 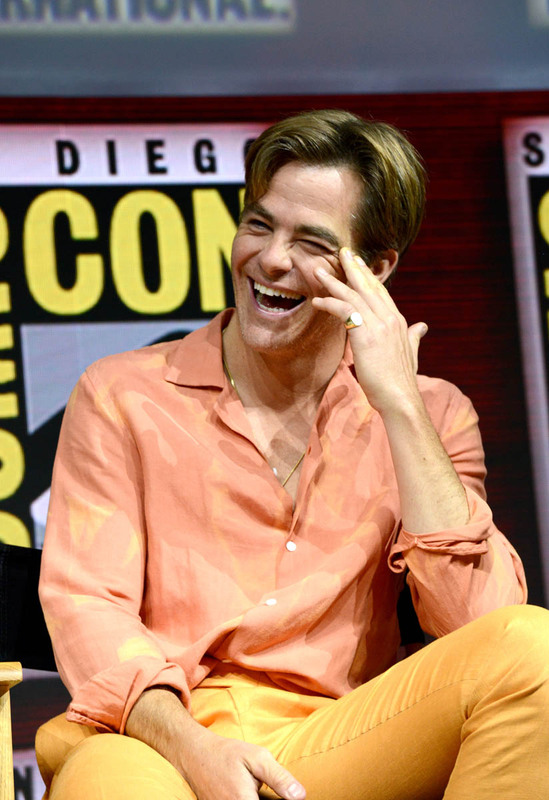 I'm OK if Cate Blanchett was Chris Pine's style inspiration here. 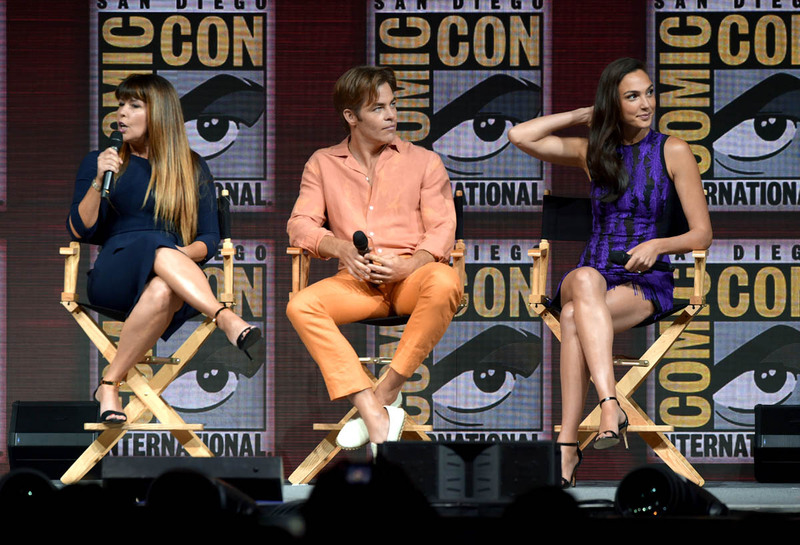 I don't even hate the white loafers. I would wear this. 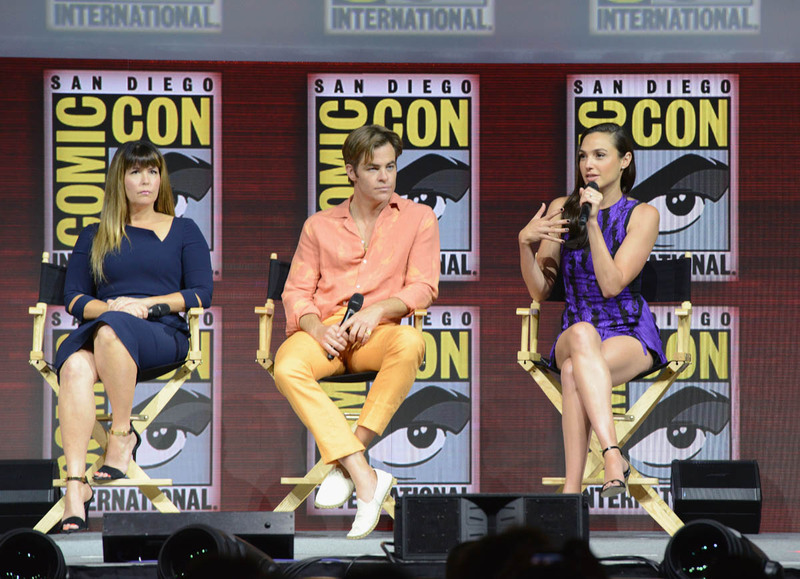 I love that a dude in a superhero movie is playing with typically feminine colours and embracing an androgynous look. If Chadwick Boseman was wearing this, Lainey would be all over it. It's a LOOK. Let's fight.